When hiring a professional Fredericksburg Wood restoration expert for all of your Professional deck and Log home Restorations needs you only need ot hire the experts at Taskmasters. With their years of experience and skills you will be sure to have the best possible results for all of your Restoration needs. From large homes to small you can count on the experts at Taskmasters. A restored deck and or log home will look great and will provide your home with a clean fresh feel that you will not get any place else. Additionally a restored log home and and or deck can cause your homes property values to increase leaving you with a home that has hire resale values and that looks great. For all of your restoreation need call on a professional that specializes in wood restoratoration. Call the professional experts at Taskmasters for all of your Professional deck and Log home Restorations needs and services as they are the only expert in the Fredericksburg area that can provide you with a quality result that you will love for years to come. 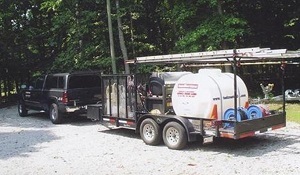 If you're looking for a professional pressure washing contractor in Fredricksburg, then give us a call 252-266-9457 or complete our online request form.